We hope you always feel at home in the good graces of this little church located at the foot of Pikes Peak. 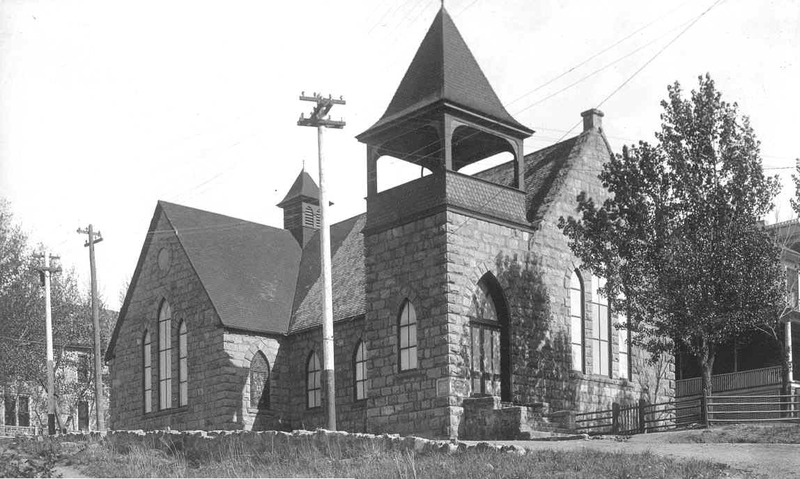 The sanctuary was built in 1880 and is listed on the National Register of Historic Places. For more than one hundred and twenty years people of faith have felt God's presence in the colorful beauty of stained glass windows and through sounds of sacred music played upon the old pipe organ. This is a place where faithful people meet in fellowship to explore and experience Christ's love. The church finds its religious roots to the mainline Protestant church tradition. It is a freethinking community of faith, which is ecumenical in both spirit and practice. The Holy Bible remains our guide and inspiration, and calls us to honor and respect all persons seeking God's love in Jesus Christ. It is our prayer that you always feel welcomed and at home with us. May blessings follow along with you in your pilgrimage of faith!